I wanted to follow some of Feinstein’s money that came from contributors to her campaign and the first name on the list that popped up was a group known as Emily’s List. I had heard the name before and looked it up on DiscoverTheNetworks where I found near the top of the description another group I had heard of before, America Votes. This made us look up Emily’s list first to see just what the group is and we found that this group only contributes to Democratic women. We will get to the Shadow Party affiliation after the America Votes is shown. This group has some connections to the one and only, George Soros. No big surprise here, and I will show what Feinstein is also connected to through this group and another group she gets funds from, one called J Street. I will show that after we show the group noted on the Emily’s List page called – America Votes. From that group, the Soros association begins to climb all the way to what is called the “Shadow Party.” Yes, it’s a heavily dominated group that is funded and was started by none other than George Soros. Is this strange that Dianne Feinstein has connection to these Soros-tied groups, of which are many? Let us move on to the America Votes. Officially designated as a “Section 527” committee, America Votes (AV) is a national coalition of grassroots, get-out the-vote organizations. Its task is to work with more than 300 state and national partner groups to “advance progressive policies,” “expand access to the ballot,” “coordinate issue advocacy and election campaigns,” and “protect every American’s right to vote.” While AV professes a commitment to such nominally non-partisan goals as increasing “voter registration and … participation in electoral politics,” its get-out-the-vote efforts are in fact targeted wholly toward likely Democratic voters — e.g., swing voters (working women and young people) and Democrat base voters (especially blacks and Hispanics). AV was the brainchild of several longtime Democratic activists. In November 2002, one of those activists, Gina Glantz — who was then an official with the Service Employees International Union (SEIU) — called a meeting in Washington, DC which was attended by Steve Rosenthal, Ellen Malcolm, Harold Ickes, Andrew Stern, Carl Pope, and Jim Jordan (campaign manager for Senator John Kerry‘s upcoming 2004 presidential run). At this gathering, Glantz suggested that pro-Democrat voter-mobilization organizations needed to form an “umbrella group” that could help them avoid any needless duplication of effort or waste of resources. Everyone in attendance approved of this idea; thus was born the concept of America Votes. In practice, however, AV would not officially get off the ground for another eight months. It was launched on July 15, 2003. Cecile Richards, who was then deputy chief of staff for Nancy Pelosi and a board member of America Coming Together, was selected to head the fledgling coalition. As of 2004, AV included such national partner groups as 21st Century Democrats, ACORN, the AFL-CIO, AFSCME, America Coming Together, the American Federation of Teachers, the Association of Trial Lawyers of America (later known as the American Association for Justice), the Defenders of WildlifeAction Fund, Democracy for America, EMILY’s List, the Human Rights Campaign, the League of Conservation Voters, the Media Fund, MoveOn.org Political Action, the NAACP National Voter Fund, NARAL Pro-Choice America, the National Education Association, People for the American Way, the Planned ParenthoodAction Fund, the Service Employees International Union, the Sierra Club, and USAction. For a list of AV’s other original partner organizations, click here. In 2006 the AV national coalition was joined by the Campaign for America’s Future, the League of United Latin American Citizens, and Progressive Majority, though each of these groups eventually left the coalition. As of April 2011, AV’s national partner organizations included the AFL-CIO, AFSCME, the American Association for Justice, EMILY’s List, the Human Rights Campaign, the League of Conservation Voters, the NAACP National Voter Fund, NARAL Pro-Choice America, the National Education Association, the Planned Parenthood Action Fund, the SEIU, the Sierra Club, USAction, and a number of other groups. This is a lot to associate Senator Feinstein to but it is there for all to see. That is just a small part of the information on America Votes and it also is deeply associated with George Soros. One has to question why would Senator Feinstein would allow her name to be associated with these groups. It seems that the list just goes on and on with some sort of association to groups either supported by or related to George Soros. Senator Feinstein could never say she is not associated with George Soros and her campaign money shows two groups which have connections to George Soros, Emily’s List and J Street. Both of those organizations have associations close to and in some way aligned to the George Soros and his ideologies. Let’s show the association to George Soros with America Votes. “In the 2006 election cycle, billionaire philanthropist George Soros donated $2.15 million to America Votes; in 2008 and again in 2010, he gave the coalition The America Votes coalition itself is a constituent of a larger entity, the “Shadow Party,” identified by Discover The Networks as a nationwide network of activist groups whose agendas are ideologically Left, and which are engaged in campaigning for the Democrats. AV is also a coalition partner in the Advancement Project‘s Voter Protectioninitiative. $1.25 million. Moreover, as of December 2008, AV had received at least $6 million in Democracy Alliance-approved funding commitments from Soros. Notice that once again, George Soros is mentioned in the description of America Votes. 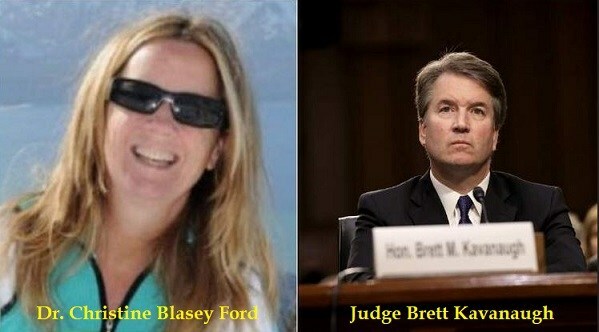 Senator Feinstein is connected to all this by association to these groups through Emily’s List and America Votes. Now, let’s show another connection. Founded in April 2008, the Washington, DC-based J Street describes itselfdeceptively as “the political arm of the pro-Israel, pro-peace movement.” The “J” in the organization’s name connotes, in part, its predominantly Jewish character. The name is significant also because no J Street exists among Washington’s alphabetically named streets—but if it did exist, it would run parallel to K Street, which is famous for the lobbyists and advocacy groups that base their activities there. J Street, which sees itself as a counterweight to AIPAC, consists of both an advocacy group that seeks to influence public opinion and foreign policy, and a political action committee (PAC) that donates money to various causes. J Street was founded “to promote meaningful American leadership to end the Arab-Israeli and Palestinian-Israel conflicts peacefully and diplomatically.” Key to this, says J Street, will be the pursuit of “a new direction for American policy in the Middle East,” a direction that recognizes “the right of the Palestinians to a sovereign state of their own”—where Palestine and Israel live “side-by-side in peace and security.” “In the 21st century,” J Street affirms, “we have reached a moment in history where supporting a Palestinian state is the only way to ensure Israel’s survival as a democracy and a national home for the Jewish people.” Toward this end, J Street supports “diplomatic solutions over military ones” and “dialogue over confrontation.” Israel’s partner in such a dialogue would necessarily be Hamas, which holds the reins of political power in Gaza and denies Israel’s right to exist. Indeed, a J Street policy paper calls for the Jewish state to negotiate directly with Hamas. Billionaire philanthropist George Soros supported J Street’s creation and was formally associated with the organization for a brief time after its inception. Before long, however, Soros stepped away from the group—at least in terms of his public association with it—for fear that his controversial reputation might scare off other potential supporters. But behind the scenes, he remained a powerful influence. From 2008-2010, the billionaire and his two children—Jonathan and Andrea—gave a total of $750,000 to the organization. J Street kept this Soros funding secret from the public until the Washington Times revealed it in September 2010. Ricken Patel, co-founder and executive director of Avaaz.org. J Street president and co-founder Jeremy Ben-Ami has close ties to President Barack Obama; was previously senior vice president at Fenton Communications; served as communications director for the New Israel Fund; was a domestic policy adviser for President Bill Clinton; and was a policy director on Howard Dean’s 2004 presidential campaign. J Street identifies Avram Burg as one of its leading supporters. Burg says that “Israel, having ceased to care about the children of the Palestinians, should not be surprised when they [suicide bombers] come washed in hatred and blow themselves up in the centres of Israeli escapism.” He also likens modern-day Israel to Nazi Germany. Once again, we see that J Street is also not just connected to George Soros, but was secretly funded by Soros and is probably still being funded in a secretive way. We see that J Street has an association with other groups that are also either supported by George Soros or are part of the George Soros “Shadow Party.” It would seem that maybe other groups, not reported, might also be part of the George Soros arm of funding through groups that do not wish to make America great to any end. The “Shadow Party” a group begun by George Soros, Harold Ickes, and many others. ”No one knows for certain who first coined the term “Shadow Party.” In the November 5, 2002 Washington Post, writer Thomas B. Edsall wrote of “shadow organizations” that were springing up to circumvent McCain-Feingold‘s soft-money ban (which is discussed at length below). Journalist Lorraine Woellert first called the Democrat network a “shadow party” in a September 15, 2003 Business Week article titled “The Evolution of Campaign Finance?” Other journalists soon followed suit. George Soros had quietly laid the groundwork for the Shadow Party apparatus from 1994 to 2002. During that period, the billionaire spent millions of dollars promoting the passage of the Bipartisan Campaign Reform Act, better known as the McCain-Feingold Act, which was ultimately signed into law in November 2002 by President Bush. Soros began working on this issue shortly after the 1994 midterm elections, when for the first time in nearly half a century, Republicans had won strong majorities in both houses of Congress. Political analysts at the time attributed the huge Republican gains in large part to the effectiveness of television advertising, most notably the “Harry and Louise” series (which cost $14 million to produce and air) where a fictional suburban couple exposed the many hidden, and distasteful, details of Hillary Clinton’s proposals for a more socialized national health-care system. Soros was angry that such advertisements were capable of overriding the influence of the major print and broadcast news media, which, because they were overwhelmingly sympathetic to Democrat agendas, had given Hillary’s plan a great deal of free, positive publicity for months. Three weeks after the 1994 elections, Soros announced that he intended to “do something” about “the distortion of our electoral process by the excessive use of TV advertising.” That “something” would be campaign-finance reform. Starting in 1994, Soros’s Open Society Institute and a few other leftist foundations began bankrolling front groups and so-called “experts” whose aim was to persuade Congress to swallow the fiction that millions of Americans were clamoring for “campaign-finance reform.” This deceptive strategy was the brainchild of Sean Treglia, a former program officer with the Pew Charitable Trusts. Between 1994 and 2004, some $140 million of foundation cash was used to promote campaign-finance reform. Nearly 90 percent of this amount derived from just eight foundations, one of which was the Open Society Institute, which contributed $12.6 million to the cause. Among the major recipients of these OSI funds were such pro-reform organizations as the Alliance For Better Campaigns ($650,000); the Brennan Center for Justice (more than $3.3 million); the Center For Public Integrity ($1.7 million); the Center For Responsive Politics ($75,000); Common Cause ($625,000); Democracy 21 ($300,000); Public Campaign ($1.3 million); and Public Citizen ($275,000). The stated purpose of McCain-Feingold was to purge politics of corruption by: (a) putting restrictions on paid advertising during the weeks just prior to political elections, and (b) tightly regulating the amount of money that political parties and candidates could accept from donors. Vis à vis the former of those two provisions, the new legislation barred private organizations, including unions, corporations, and citizen activist groups, from advertising for or against any candidate for federal office on television or radio during the 60 days preceding an election, and during the 30 days preceding a primary. During these blackout periods, only official political parties would be permitted to engage in “express advocacy” advertising, i.e., political ads that explicitly urged voters to “vote for” or “vote against” a specified candidate. Equally important, major media networks were exempted from McCain-Feingold’s constraints; thus they were free to speak about candidates in any manner they wished during their regular programming and news broadcasts. This would inevitably be a positive development for Democrats, who enjoyed the near-universal support of America’s leading media outlets. 3. http://www.richardpoe.com/2005/03/25/pewgate-the-battle-of-the-blogosphere/ ; Ryan Sager, “Buying ‘Reform’: Media Missed Millionaires’ Scam,” New York Post (March 17, 2005). 4. http://www.richardpoe.com/2005/03/25/pewgate-the-battle-of-the-blogosphere/ ; Ryan Sager, “Buying ‘Reform’: Media Missed Millionaires’ Scam,” New York Post (March 17, 2005). (The other seven major contributors were the Pew Charitable Trusts ($40.1 million); the Schumann Center for Media and Democracy ($17.6 million); the Carnegie Corporation of New York ($14.1 million); the Joyce Foundation ($13.5 million); the Jerome Kohlberg Trust ($11.3 million); the Ford Foundation ($8.8 million); and the John D. and Catherine T. MacArthur Foundation ($5.2 million). 5. Byron York, “The Soros Agenda: Free Speech for Billionaires Only,” Wall Street Journal (January 3, 2004); Byron York, “Democrats Throw The Spirit Of Reform Out The Window,” The Hill (November 5, 2003); Byron York, The Vast Left Wing Conspiracy (2005), p. 62. 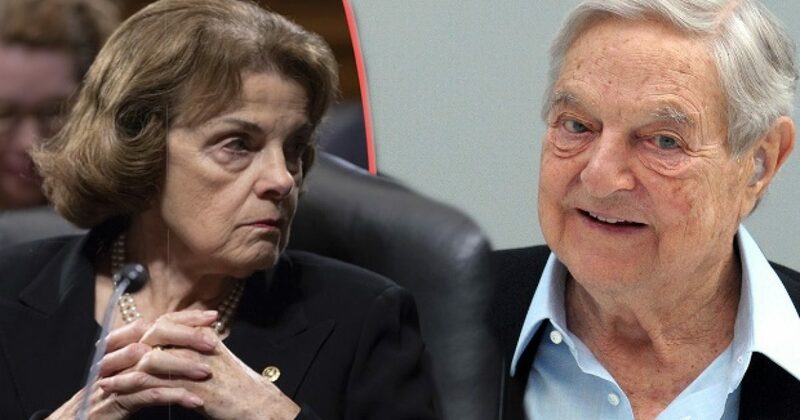 I have shown some of Senator Feinstein’s connections to George Soros and Soros-tied groups like Emily’s List and J Street, but also her connection to the “Shadow Party”; and George Soros, like many Democrats, are working to destroy our nation, not fix it. Do yourself a favor and follow all the links in the article above to see just how much the Democrats have misaligned themselves against our nation. This is with just one US senator! In the next article, I’ll show other Democratic senators with similar ties. It is very strange but so far we have not found this to be true for the Republican Senators. 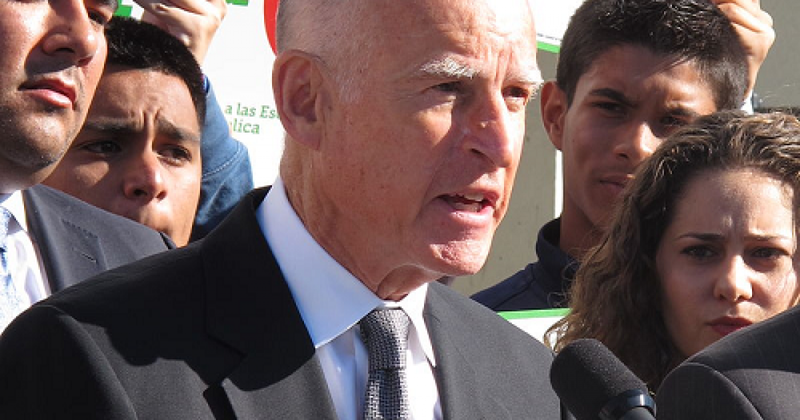 Did Governor Jerry Brown Call For The Assassination Of President Trump?